NPP is the first step for NASA in building the next generation Earth observing satellite system. The EOS (Earth Observing System) has provided many new insights in various aspects of Earth including clouds, oceans, vegetation, glaciers and atmosphere for over a decade. Now that the system is aging, a new generation of satellites are ready to take over. NPP is an effort led by NASA’s Goddard Space Flight Center that is carrying the first of the new sensors that will be utilized as part of that next-generation system called the Joint Polar Satellite System (JPSS). The mission will continue critical weather and climate measurements by flying advanced sensor packages. 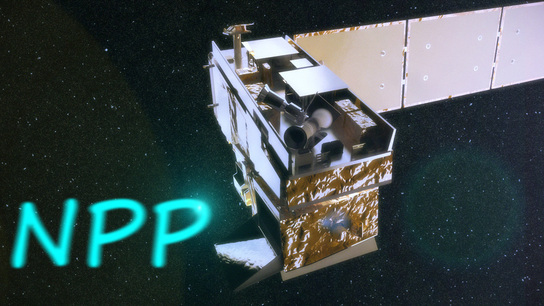 NPP will measure various properties of the Earth’s atmosphere, land surface and oceans. Its five-year mission life will help to bridge critical weather data collection before JPSS is ready for operations in 2016.